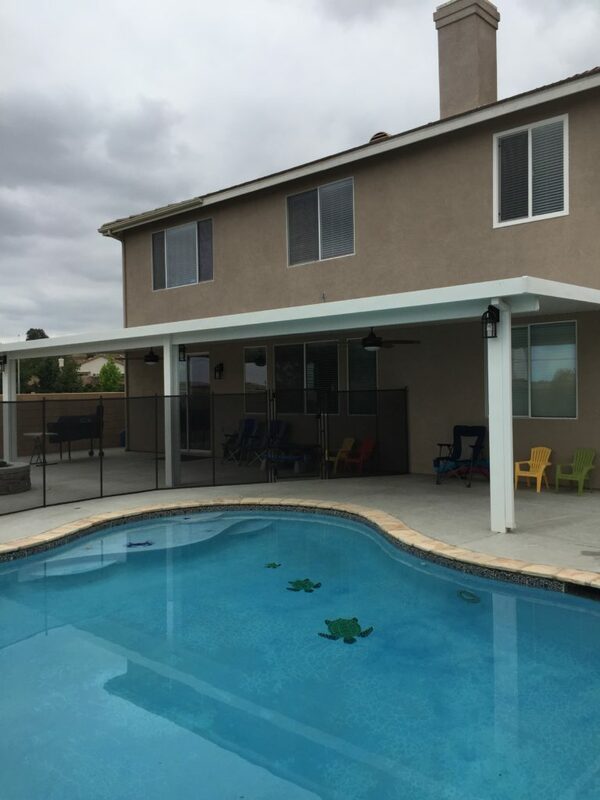 Aluminum patio cover with footings, steel posts, and steel c-beam reinforcement. Standard post spacing range from 7′ to 10′ feet depending on projection. 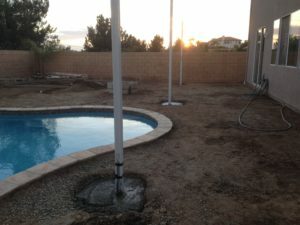 By adding steel posts and c-beams the post spacing can increase to 15′-30′ in some cases, also depending on the projection.